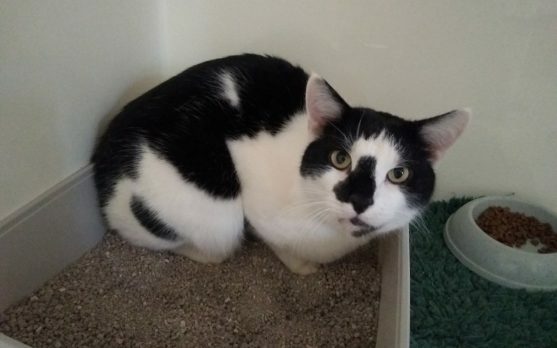 Patch came to the charity when his owner sadly passed away. Poor Patch has been through the wars a bit recently, having had a cyst removed from his head and a couple of teeth taken out. He is now on the mend and looking for a quiet home with no other cats. He can be a little bit shy when he first meets you, but he soon purrs and rolls over for chin rubs. Patch has a slight curvature of the spine which is believed to be congenital and doesn’t seem to affect his every day life. This gentle giant just needs a loving home where he can settle and be happy – he really deserves it. We screen for two incurable diseases that are fatal to cats – Feline Immuno-deficiency Virus and Feline Leukaemia. Our vets give each animal a thorough physical examination and carry out all recommended treatments, irrespective of cost. We vaccinate against four diseases: cat flu, feline panleucopenia, feline enteritis & feline leukaemia. All cats will have had both their primary and booster vaccinations prior to rehoming. All animals are regularly treated against fleas and worms using the most effective products. All animals are micro-chipped which will be transferred into your name on adoption. All adult cats are neutered on entering the charity; if not yet 4 months, kittens will be neutered by that age by returning them to any Swanbridge or Battle Flatts practice. Receive 4 weeks’ FREE Petplan ‘Charity Cover’ insurance on the day of adoption, ensuring your new pet is covered immediately for illness or injury up to £4000. You also have the option to continue cover as a Petplan ‘Covered for Life’ Policy, even for cats aged over 10 years – a unique benefit of our Charity Cover. 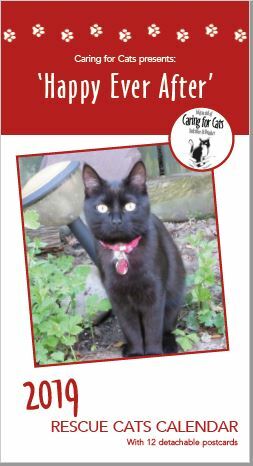 Order your Caring for Cats 2019 calendar online for just £6 plus p&p £1.80 (30p p&p for each additional Calendar).